LinkedIn is the professional playground for professional connections. As the largest professional network in the world, LinkedIn offers companies plentyof advantages. Like many social media tools, companies can use LinkedIn to not onlypromote themselves, but establish connections and build relationships. The site hasmore than 120 million members, making it an ideal platform for companies to recruittop candidates, showcase their culture and demonstrate their expertise. 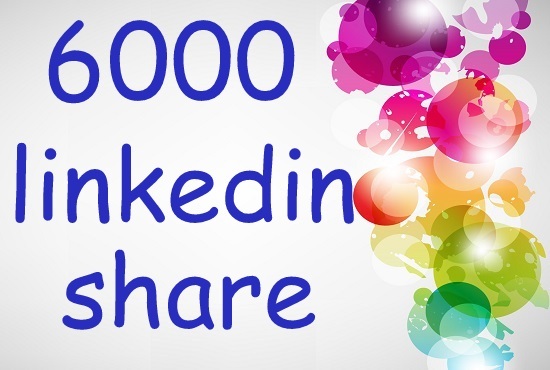 create 6000 linkedin share for your website is ranked 5 out of 5. Based on 3 user reviews.